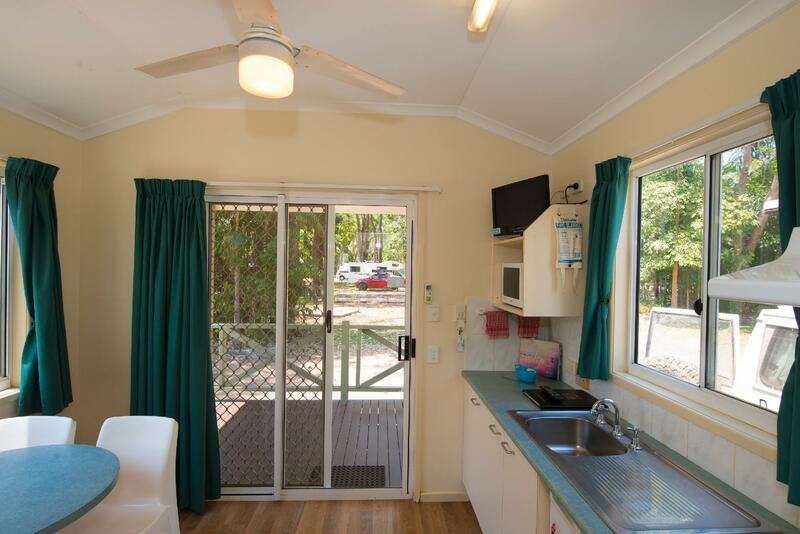 يشكل BIG4 Howard Springs Holiday Park بموقعه الممتاز في المدينة نقطة انطلاق جيدة لاستكشاف أفضل ما فيها من معالم ومناطق نابضة بالحياة. إن موقعه الجيد الذي يبعد 23km فقط عن مركز المدينة يساعد النزلاء على الاستمتاع بمعالم المدينة ونشاطاتها. يوفر الفندق بفضل موقعة الجيد وصولاً سهلاً إلى أهم معالم المدينة.
. إن BIG4 Howard Springs Holiday Park حريص على توفير الراحة للنزلاء، فلا يوفر الموظفون جهداً في تقديم أفضل الخدمات وضمان حسن الاستقبال. يقدم الفندق فرصة للاستمتاع بشريحة واسعة من الخدمات بما فيها: مرافق مخصصة لذوي الاحتياجات الخاصة, واي فاي في المناطق العامة, صف السيارات, غرفة عائلية, مرافق للشواء . استمتع بوسائل الراحة الراقية في الغرف أثناء إقامتك هنا. بعض الغرف تتضمن تلفزيون بشاشة مسطحة, اتصال لاسلكي بالإنترنت, حوض الاسترخاء, غرف لغير المدخنين, مكيف هواء لمساعدتك على استعادة طاقتك بعد يوم طويل. إن حمام سباحة خارجي, سبا, ملعب للأطفال, مسبح (للأطفال), ملاعب سكواتش هو المكان الأمثل في الفندق للاسترخاء وتفريغ طاقتك بعد نهار طويل. استمتع بخدمات لا يعلى عليها وعنوان ذو اعتبار في BIG4 Howard Springs Holiday Park . Hi Alan, We are very sorry that you were not able to stay with us. As your booking come through after our office was closed, we only discovered that you had a dog when you called on arrival and unfortunately we do not accept pets in our cabin accommodation. As we were unable to accommodate your booking, our Night Manager advised you to contact Agoda to cancel your reservation so that you wouldn't be charged. Please contact Agoda directly to organise this. The villa was clean, great sized balcony, roomy with plenty of amenities and a super comfy bed. Friendly staff to boot. Will be back for sure, with the little one in tow as the facilities are great. Upon arrival I recieved attitude because I didn't have a credit card. I presented my Mastercard debit card which is good enough around the world to be used as a credit card but not here. Special permission was sort to allow me to use it for the bond. Mind you I had used the same card to pay for the accommodation the previous day on agoda. I am a local and travel into Darwin every couple of weeks and we thought we would give this place a go due to the facilities for the kids. Not again not for us anyway I wouldn't qualify again as I don't have a credit card. Loved it and so did my kids!! Only one night passing thru but loved the cabins!!!! Only little negative was a little mildew on the shower. Would stay there again with fam. 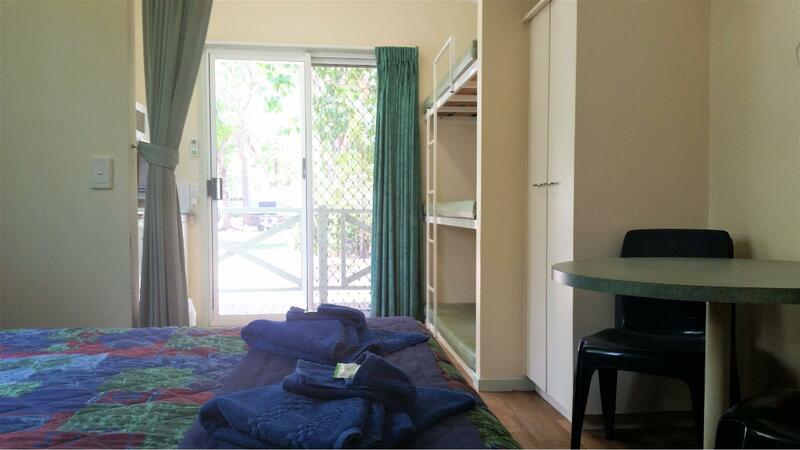 Howard Spring Holiday Park's self-contained cabin is a unique experience for us coming from Singapore. Although it's small but it has everything we need. The management takes initiative to organize something every day of the week. We were lucky to be there on Monday and experienced some good food. We wanted to continue explore outside Darwin but find it a bit too far to drive into Darwin every night. So it's good to stay in Howard Spring. Ensuite Cabin was comfortable for 2 people, air conditioning worked well. It was convenient for us and good for the child. Hot water wasn't very hot and the shower kept going cold. We returned home one day to find no running water - checked with the neighbour who said it went off just after we left in the morning, Water was back on within 1/2 hour of being back. But none was told that it was going off or for how long. Otherwise the stay was pleasant and quiet . The pool. The atmosphere. The chickens. Value for money, we just stop here to relax, it is a nice place and staff so good. Its a good spot, but felt that my concerns were completely ignored. The lock on our cabin door was faulty. I reported it on day one...nothing happened. As a naturally security consious person, this was of concern to me for our entire stay. The Tv didn't work, I reported this on day 2, and nothing happened..this made it very difficult with two young children in cramped quarters for a week. 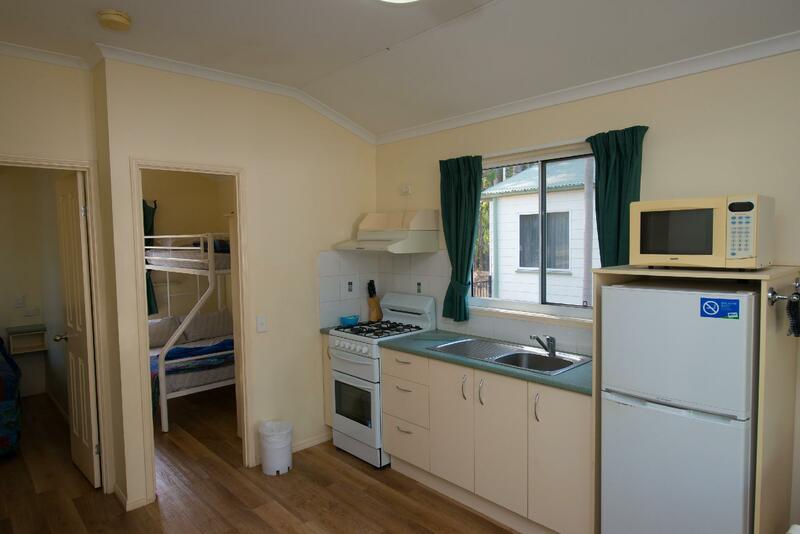 We always enjoy our stay in the cabins at Big 4 Howard Springs. The surroundings are quite, natural and clean. 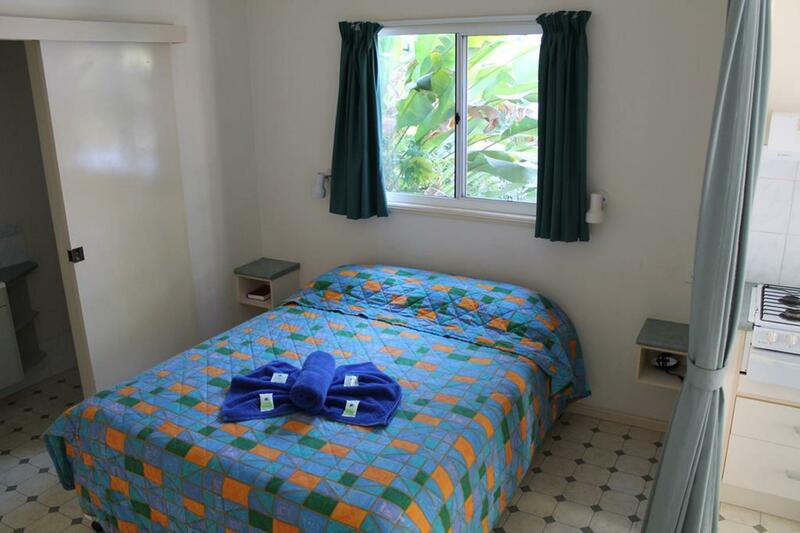 It is well located close to Palmerston and easy access to the highway to Darwin - in 20 minutes you could be in the city centre. The family cabins are good for family. The big salt water pool is great especially for kids. The squash court is great fun. There is a water park and jumping pillow for little kids too.